I Can’t Believe My Son Is …. "Welcome To The Weekend Blog Hop 08/06/2012"
Looks like a celebration is in the works and a "happy birthday" is in order! Hope he had a good one – eek I got the year wrong then. Hope he had a good one. 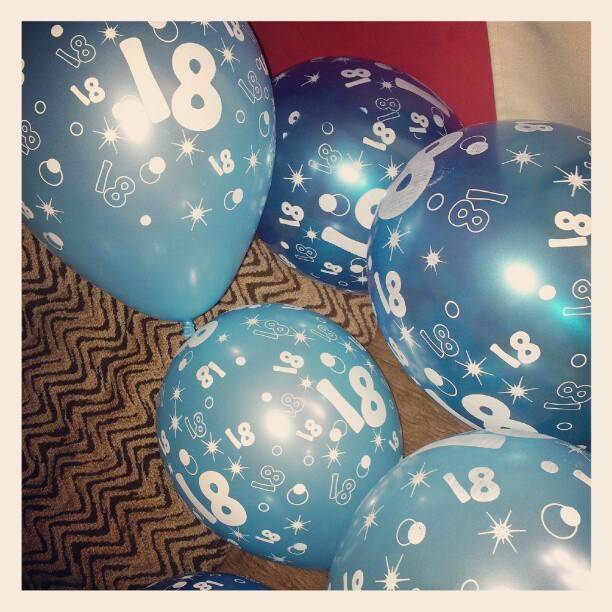 Wow 18, time really flies….My oldest will be 15 in Sept! Love the joy! Happy Birthday Wishes! Thank you for sharing on Weekly Top Shot #34! Happy Birthday to your son. I hope he is having a SPECIAL day. thanks for visiting Carole's Chatter – I'm not sure why feijoas aren't more widespread – they are so yummy. Even in NZ they have only been available in shops for a handful of years – since most people used to have their own trees.Have a great week. 18 is a real milestone. I'm moving to the next phase with my kiddo. She recently announced she's GETTING MARRIED! I am not ready to be mother of the bride, for sure. Happy birthday to MOM… since you're the one that actually gave birth 🙂 hehe Cute photo!